When I was younger and reading comics in the 1960’s, World’s Finest featured a team up between Superman and Batman in every issue, and at other times in its history it included other DC superheroes. 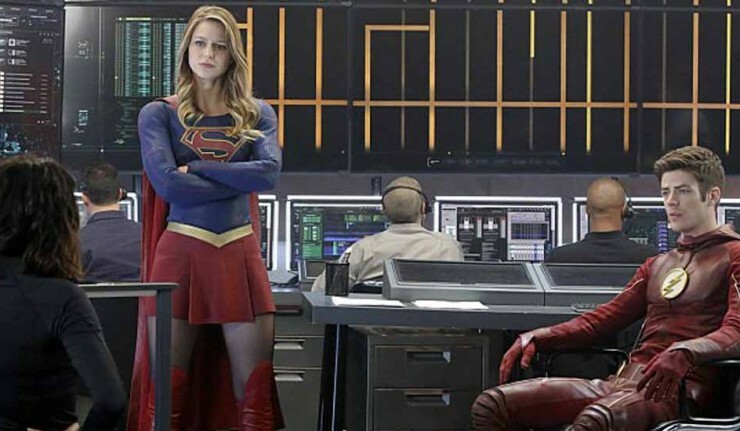 While Superman and Batman are together in the same movie this month, television teamed up Supergirl and The Flash instead. Lacking the rights to Superman, ideas from the comics are often adapted to Supergirl (as Batman story lines have been adapted for Arrow). I also clearly recalled the classic Superman cover with Superman racing The Flash. Supergirl used a similar poster to promote the show, and TV Addict has put the two together in the graphic above. 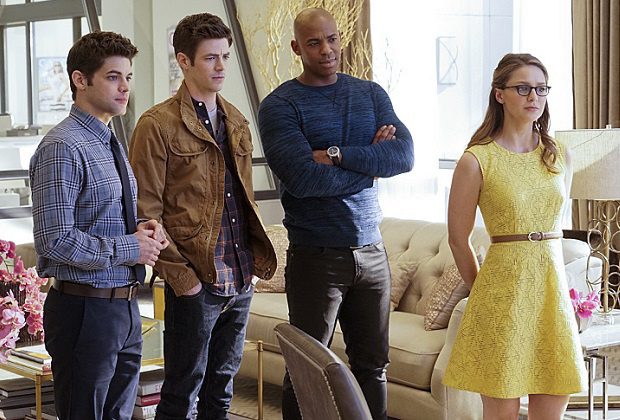 Melissa Benoist and Grant Gustin had terrific chemistry together in this Glee reunion. I don’t know if them having worked together in the past helped, and it certainly helped that both characters are similarly light. I doubt we would have seen the same chemistry with an Arrow/Supergirl crossover, unless Supergirl became a Felicity-substitute for Oliver. Their awkward meeting can be seen in the video above. Of course, the Multiverse does add a tiny wrinkle to this: wouldn’t that mean a Kara already exists on Barry’s Earth? And if so, what might a version of her look like there? That last line also explains how Rip Hunter once said, “I’ve seen Men of Steel die and Dark Knights fall. Your entire 21st century world will suffer.” Superman and Batman apparently do not exist in the Arrow/Flash world but did exist in Rip’s past. Does this mean that the characters picked up by Rip are actually working to save a different earth? When watching most television shows and a character’s life is in danger, the assumption is that they will survive. (Spoilers ahead). 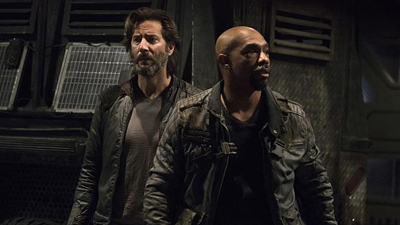 The opposite is true on The 100–especially when the character is played by an actor who has a role lined up on another television show, such as with Ricky Whittle. This is the second major death in a short time. Lincoln’s death has not been met with as much controversy as Lexa’s, but there has been some protests over how he died. I recently posted on how Marvel Studios and others protested the “religious liberties” bill in Georgia. The loss of potential income to the state appears to have been more important than appeasing the religious right as Governor Deal has vetoed the measure. Mulder’s naturally rebellious, so he’d have to be for Bernie Sanders. All the revolutionary rhetoric would appeal to his lack of trust in government. Scully, on the other hand, is highly religious and less prone to seditious behavior. Still, I don’t think she’d ever vote for any of the Republicans because of their denial of climate change science and anti-choice policies. I’m going to guess Hillary on this one. Bernie Sanders played Wheel of News on The Late Show with Stephen Colbert on Friday. The segment ended with Sanders shooting the T-shirt cannon. Video above. A New Hampshire woman was arrested a few days ago for selling heroin with the name of none other than Donald Trump branded on the bags. According to the Union Leader Correspondent, Darcie Hall was busted after a confidential informant managed to organize two heroin buys––one at a McDonald’s, another at a mini-mart. She had been under investigation by the police and the state attorney general’s drug task force. Plus The New York Post reports on women who not only support Donald Trump, but are stripping down or him. Pictures included.